Lets Migrate To Australia Consultancy started in June 2007. We provide a cost effective, simplified visa and immigration service for individuals and businesses that do not have the time, knowledge or resources to make a visa application by themselves. We take the confusion and frustration out of the immigration process. Lets Migrate To Australia Consultancy deals exclusively in advising and assisting clients from anywhere in the world to obtain Temporary and Permanent residency visas to Australia. 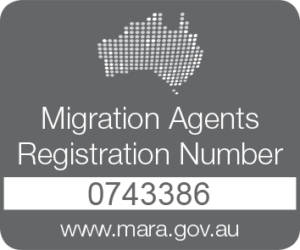 We only accept cases with high possibility of success, and we follow the Australian Migration Agents Code of Conduct. Great news!! Carers needed for work in Australia!! Our partner is looking for Disability and Home Carers to work for Aged Care, Disability, Home and Community Care organisations in Australia. Read the information by clicking "More Information" and if you qualify for this position, email copies of your certificates, transcripts, CV, employment letters and an ID. Send documents to jobs@letsmigratetoaustralia.com.